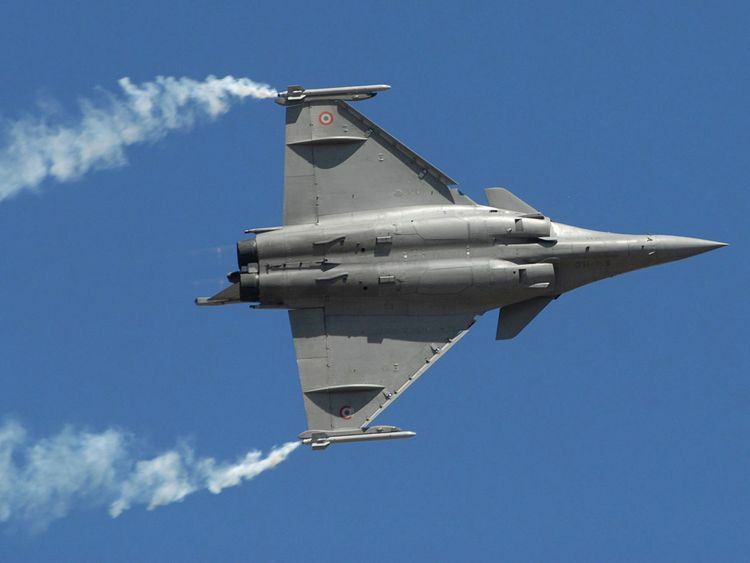 New Delhi: The Congress on Monday said the Rafale deal is “unravelling” faster than the government thought, with issues such as parallel negotiations by the Prime Minister’s Office and changes in the standard defence procurement procedure coming to the fore. The opposition party’s attack on the government came after a report in The Hindu, an English daily, claimed that the deal between India and France involved “major and unprecedented” concessions from the Indian government before the signing of the inter-governmental agreement (IGA). The Prime Minister Narendra Modi-led union government had dropped critical provisions for anti-corruption penalties as well as financial advisers’ recommendations for making payments through an escrow account days before it signed the Rafale deal with France, The Hindu reported on Monday. The daily described them as “major and unprecedented concessions” from a government that had repeatedly stressed on fighting corruption in defence deals. The revelation came just days after another report by ‘The Hindu’ that cited an internal note stating that the Defence Ministry had objected to the “parallel negotiations” by the Prime Minister’s Office (PMO) into the multi-billion Rafale deal. “The high-level political intervention meant that standard Defence Procurement Procedure clauses on ‘Penalty for use of Undue Influence, Agents/Agency Commission, and Access to Company Accounts’ of Rafale jet-maker Dassault Aviation and missile-maker MBDA France were dropped by the government in the supply protocols,” the newspaper reported. Under the Inter-Governmental Agreement (IGA) signed between India and France on September 23, 2016, Dassault is the supplier of Rafale aircraft package and MBDA France is the supplier of the weapons package to Indian Air Force (IAF). “This was significant because the government chose to do away with a sovereign or bank guarantee from France and settled for a letter of comfort, which is not legally binding, from the French Prime Minister,” the daily said. Also, the Defence Ministry dropped the requirement for an escrow account operated by the French government to make payments to the two companies. “An escrow account would have been an important financial safeguard as it would have allowed the Indian government to release money to the French government, which would then make timely payments to the two firms,” the report read. It also stated that a Defence Acquisition Council (DAC) meeting, chaired by then Defence Minister Manohar Parrikar, had approved eight changes in the IGA, supply protocols, offset contracts and offset schedules. The changes had been approved by the Cabinet Committee on Security (CCS) chaired by Modi on August 24. According to the report, three members of the Defence Ministry’s negotiating team had strongly objected to dropping the key clauses, but their objections were overruled. “By removing the corruption clause, the PM himself opened the door to allow Anil Ambani to steal 30,000 crore [Rs300 billion, Dh15.4 billion] from IAF,” Gandhi tweeted. “The government waived anti-corruption clause in Rafale deal. Corruption and corrupt defence deal, no problem. The PM is important for Bharatiya Janata Party, not his honesty?” she tweeted. Reacting to the long chain of allegations and counter-allegations, social activist Prashant Kumar said people should understand that sometimes important changes are made during high-level negotiations to prevent undue delay. “The report by The Hindu is selective, half-baked and baised against BJP. Removal of any clause does not prove the deal as tainted. So far the Opposition has failed to produce any concrete proof against the deal. By conjectures, they maliciously want to create only perception of corruption, but they will not able to prove anything against BJP,” Kumar said. Lawyer and civil rights activist Anurag Dutt disagreed. “By all means, do cut red tape and get critical military hardware to all the three defence units as soon as possible but do not obliterate guarantees from the suppliers along the way. Will the French government repay us in case of non-fulfilment of contract in the absence of a sovereign guarantee,” Dutt questioned.